A soft, squared basket/box with cloth liner for so many uses – storage, cats, spa and wine, to name a few. 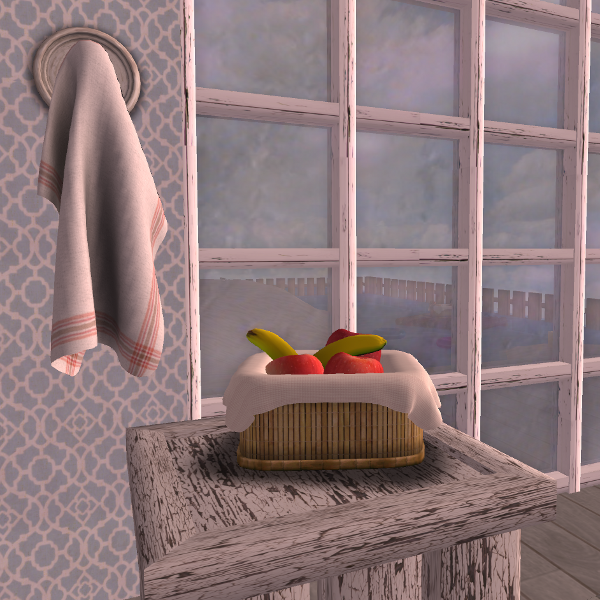 The draped cloth is made so the basket will need fewer prims to fill it. 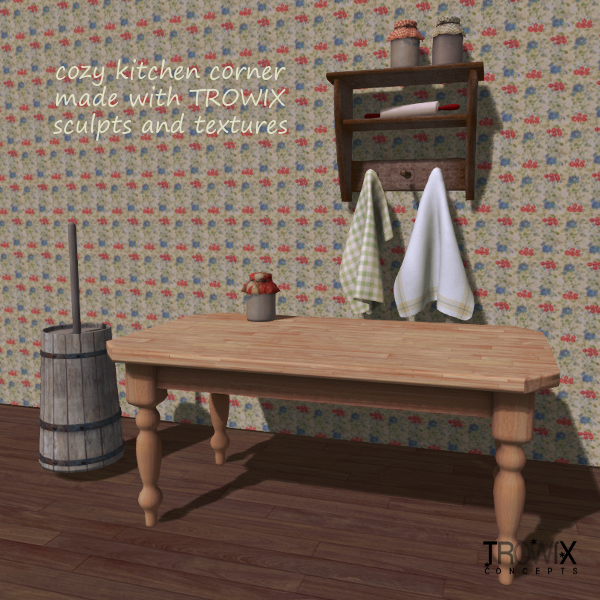 The 3 prim design offers more texturing creativity. Soft, but sturdy-looking. Fill with your favorite things! A quick snack at the beach house. New in the loft and on the new board for a short time, at the Trowix Barn. 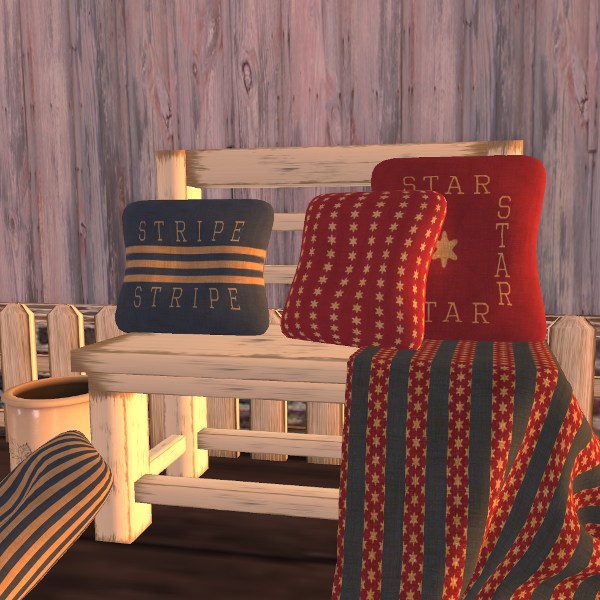 You can also find it on SL’s Marketplace. 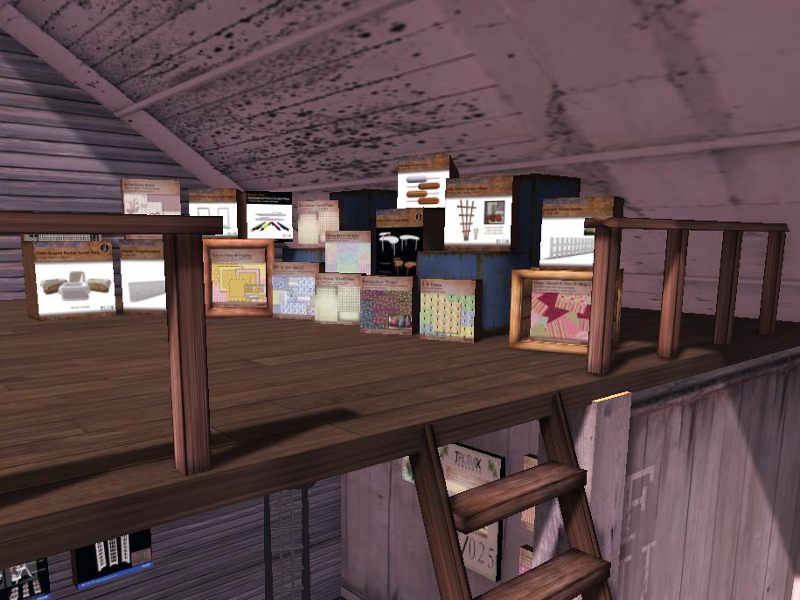 Lost in the Loft – Look UP! Sometimes, we, at Trowix, have sculpts and textures we aren’t quite sure what to do with. These might be from custom jobs, personal builds and experiments or past group gifts. We see no reason not to pass these on to our customers — and usually it will be at greatly reduced prices. 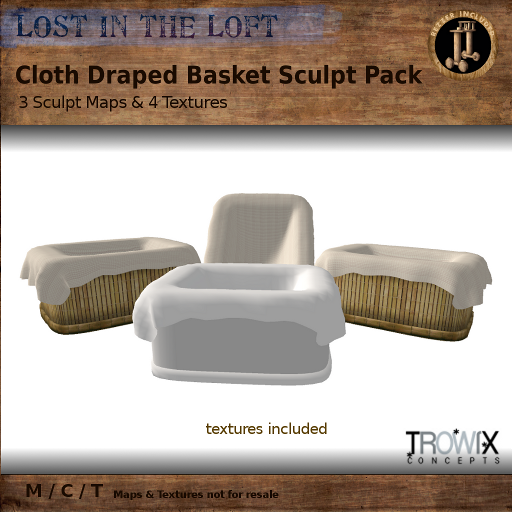 Enter the “Lost in the Loft” collection. Remember to look up for Bargains & Bargains. Textures & Sculpts. Almost everything in our loft is under $L100 – sculpts & textures! Remember to look UP when you visit the Trowix Barn. 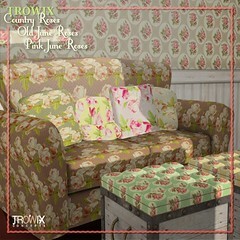 Trowix quality at lower than ever prices. Brocade is a weaving technique often with gold and silver threads creating the design. 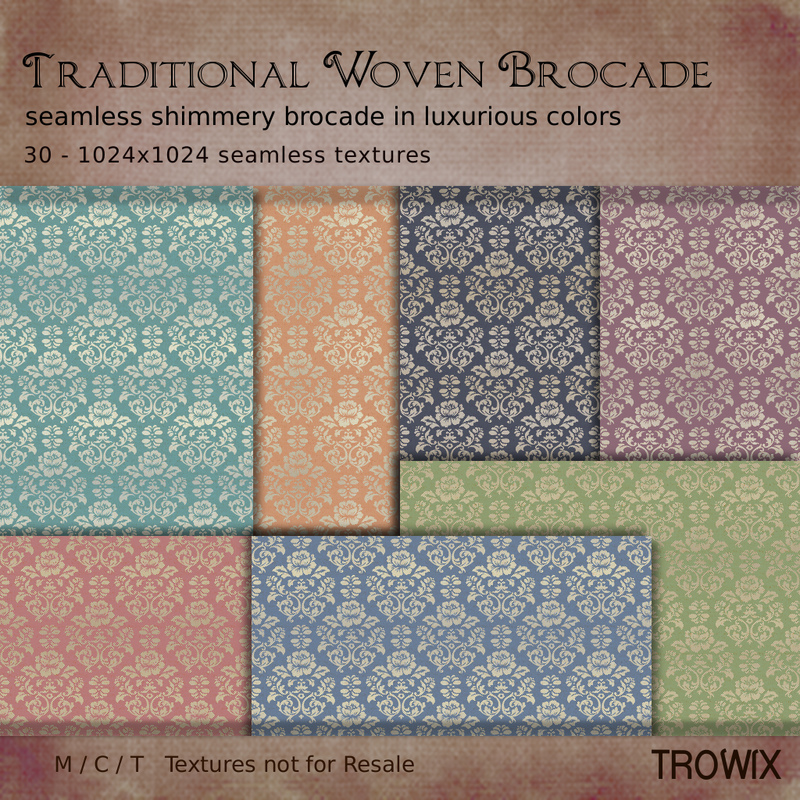 Recreated for you in rich and subtle colors with a shimmery look for upholstery, curtains, bedclothes and more. Seamless design for easy use. 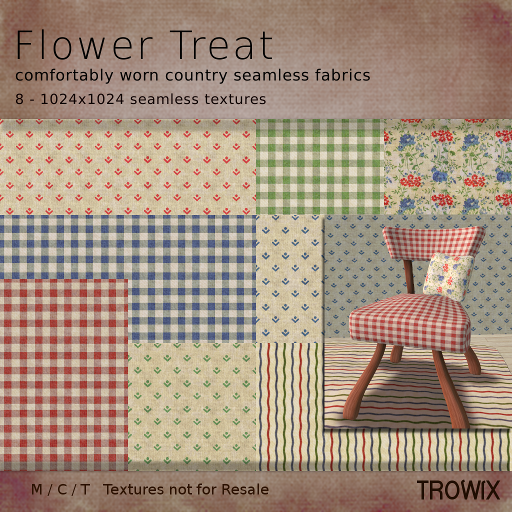 Stop by the Trowix barn for your seamless luxury. Or get a direct delivery from SL’s Marketplace. We’ll keep a light on! 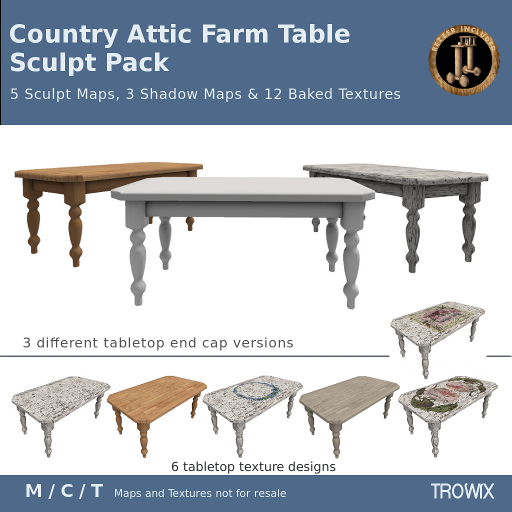 Inspired by rustic tables the world over; our farm table is just the thing for a country kitchen or a castle hall. 3 specially made tops with various end caps will make your tables look their best from any angle. 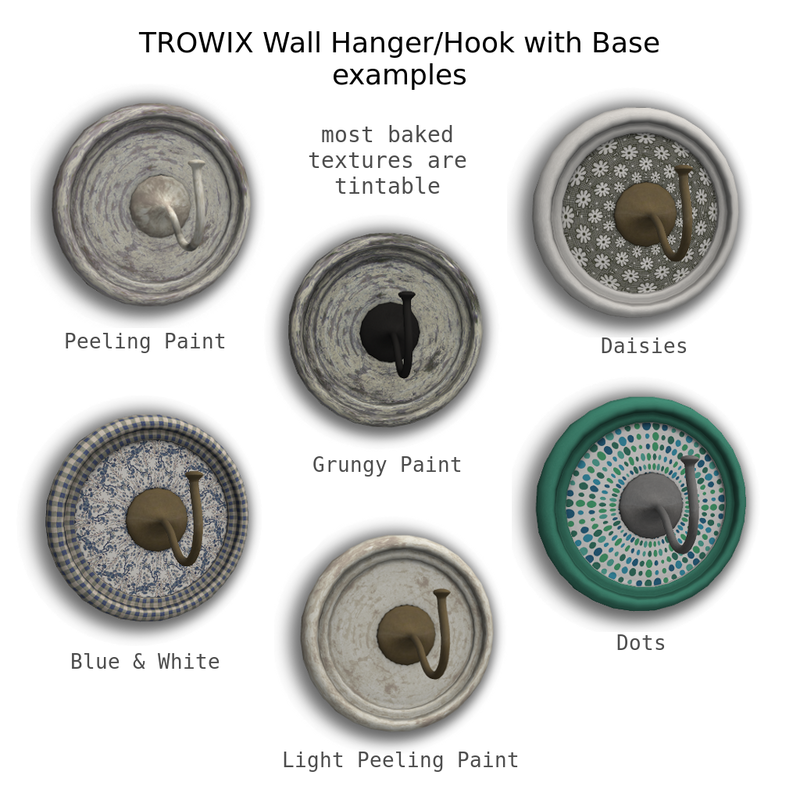 Tintable baked textures to get you started on your creative flight. Nice Legs! …and the LOD to go with them. A table is not just for food – potting table! However you decide to make it, we hope you love it! 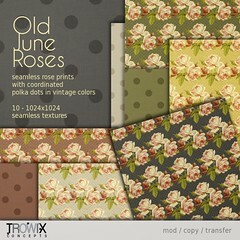 You can see this on display at the Trowix barn. You can buy it there, too! Have a fabulous, fun, weekend! 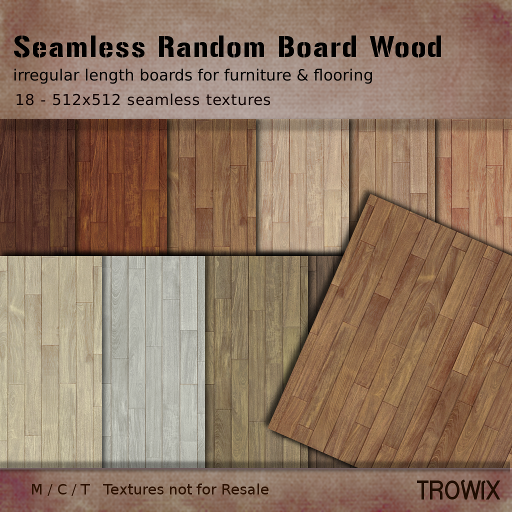 Random Board Wood – Random! Hardwood boards of various lengths for flooring, walls and furniture, a comfortable casual look with colors ranging from a tintable off-white to black. Seamless for your building convenience. Vix has covered the barn floor with these, come see! Country. Casual. Cute. 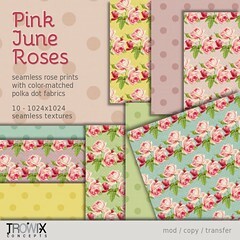 Sunny summers are recalled with these little seamless flower prints with gingham and stripes for your clothing, furniture, walls and more. Create a sweet kitchen, picnic set or follow your own creative muse. 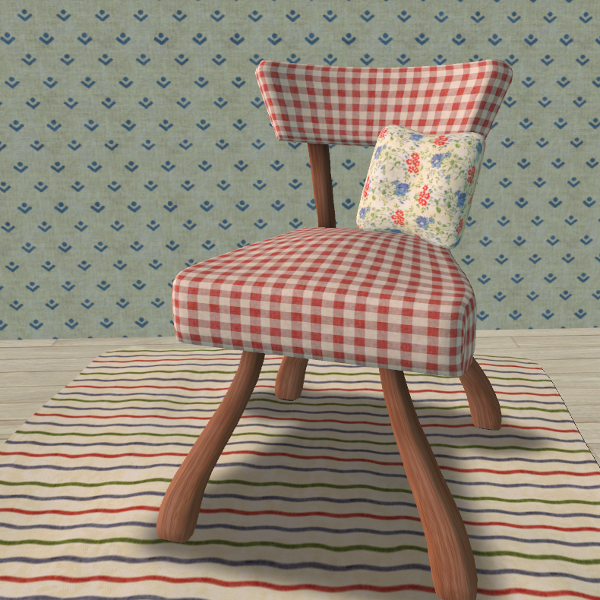 The cutest retro chair on the block! 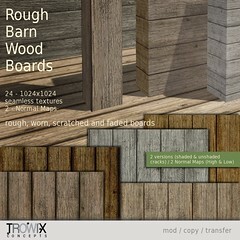 This texture set is currently on our Midnite Magic board at the Trowix Barn. …or you can buy it right away if you don’t want to wait. 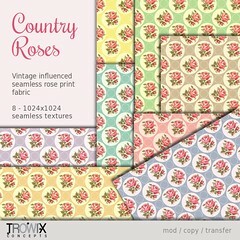 Handmade and homey with straight-forward graphics, country primitive style will strike a down-to-earth chord for your designs. 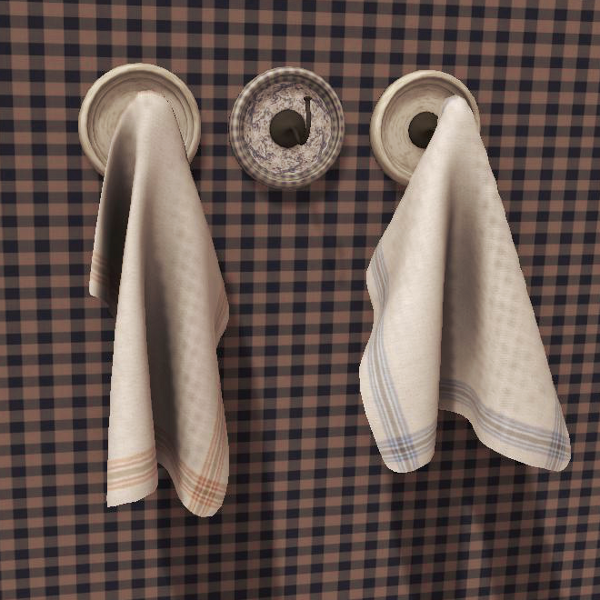 Seamless textures with a woven look will shine any time of year for comfortable and cozy looks. 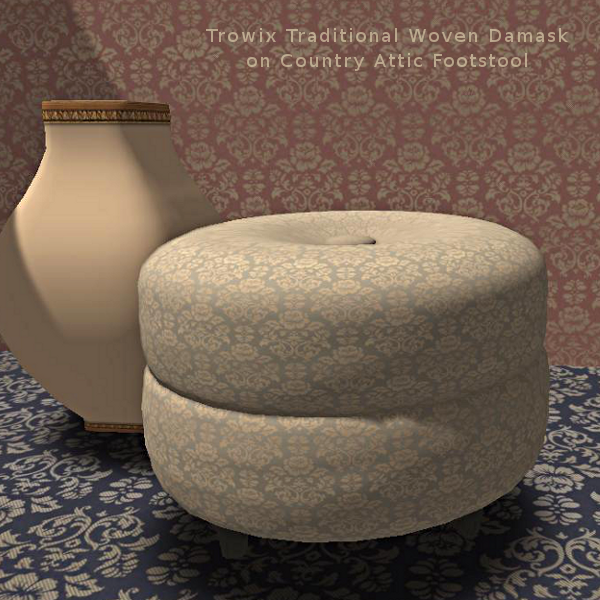 Traditional primitive look in country colors. Cute for patriotic celebrations or any time of the year! 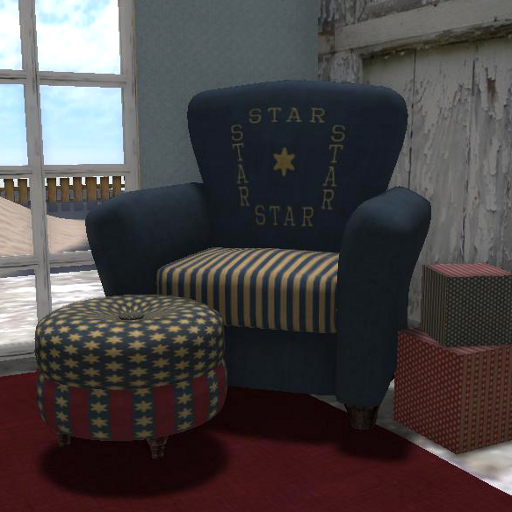 Find your stars with the other textures and sculpts at the Trowix barn. 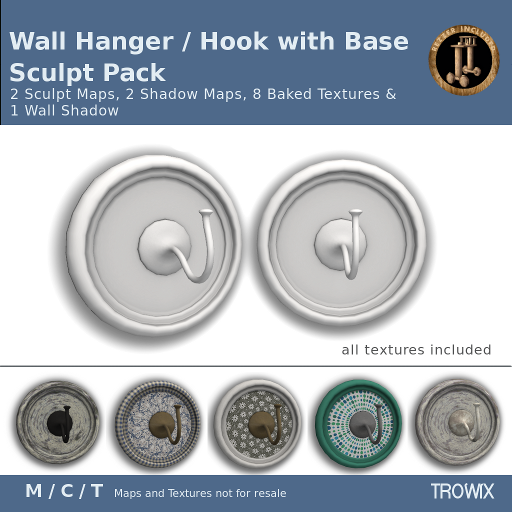 A handy wall hanger that brightens up your room, too. Indoors or out, you’ll find the perfect place for this hanger. Use your own textures or our included baked textures. A very useful addition to any builder’s or gardener’s toolbox. Carefully crafted for smooth, even round wall-plate. 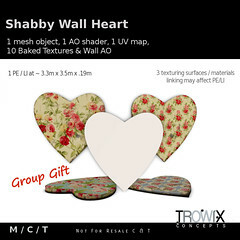 Tintable textures give you more designing creativity. Some towel hooks for our beach house! 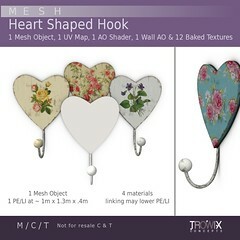 Lots of hooks and hangers available at the Trowix barn. 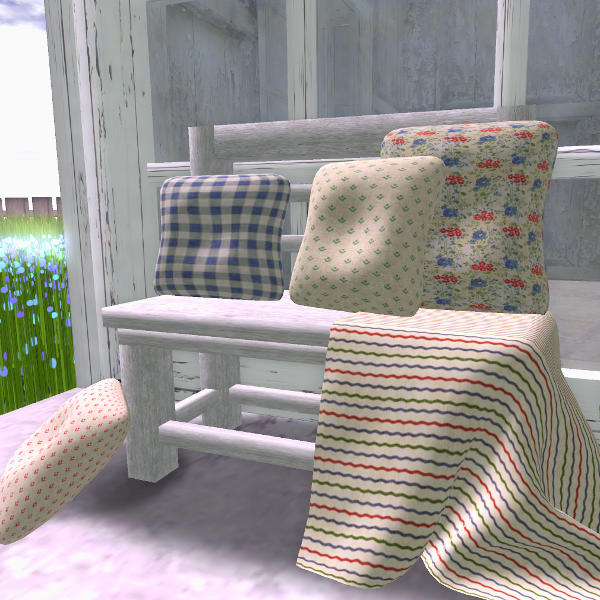 Or find this on SL’s Marketplace here. 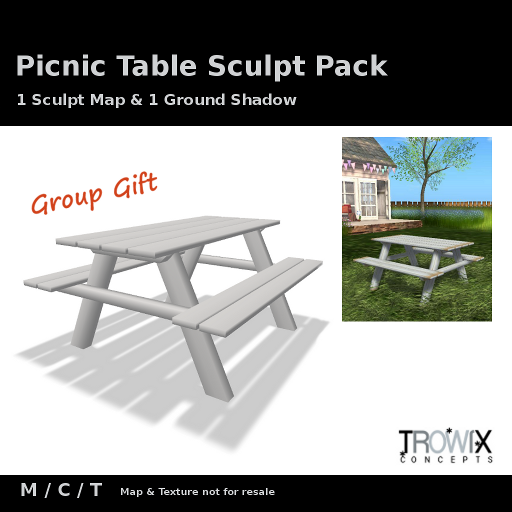 July Group Gift – Picnic-ery! Just for our wonderful group! 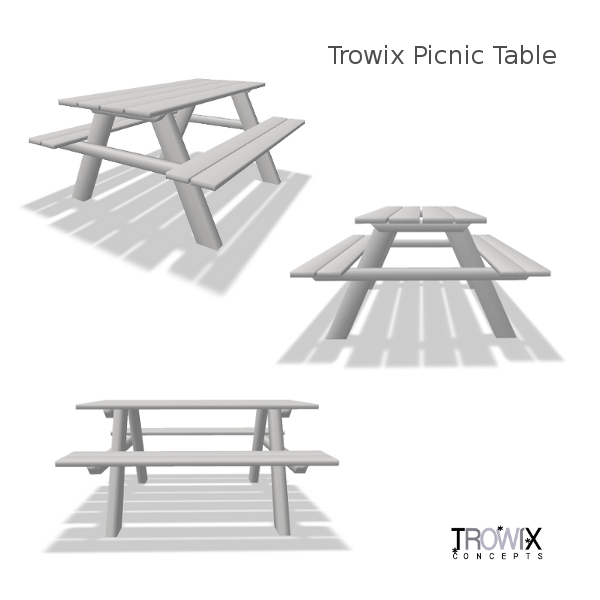 A lovely 1 prim picnic table design for summers and parks and cuddles in the dark. 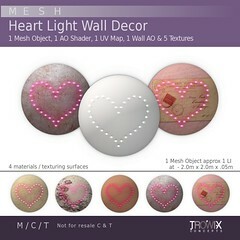 Excellent texture-ablity with smoothly spaced vertices and capped ends. 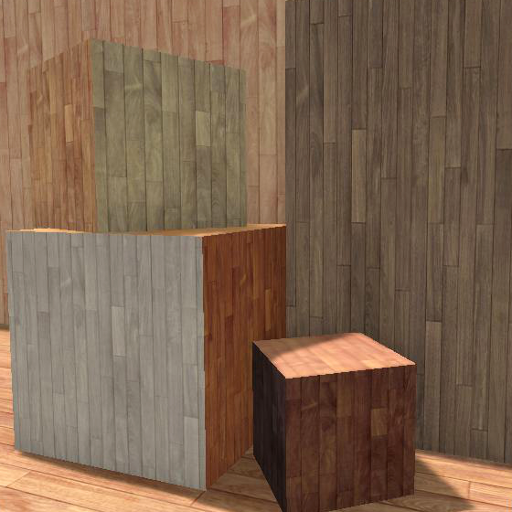 An optional ground shadow is included for realism. 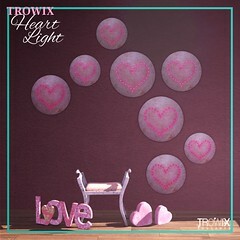 The included Ground Shadow completes a summery look. 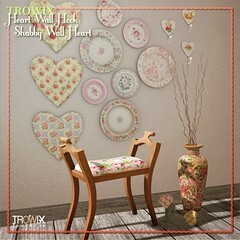 You’ll find the perfect table for the perfect day for the perfect group right here at the Trowix barn!